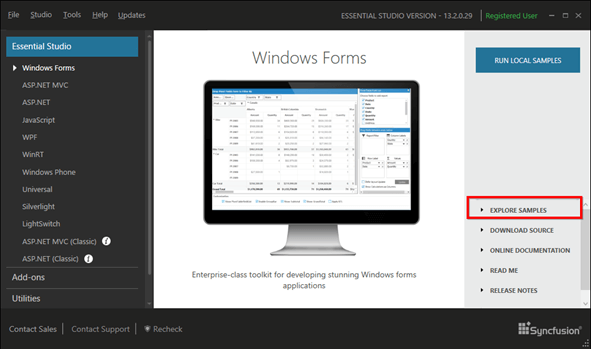 How to access Demo samples in Essential Studio Windows Form? 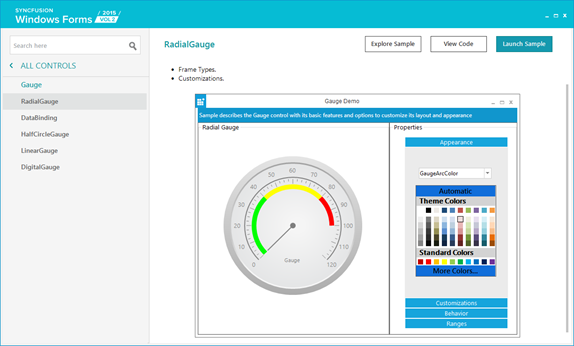 You can also access the samples from the Syncfusion sample browser. Refer to the following steps to run the samples from the Sample Browser WF. 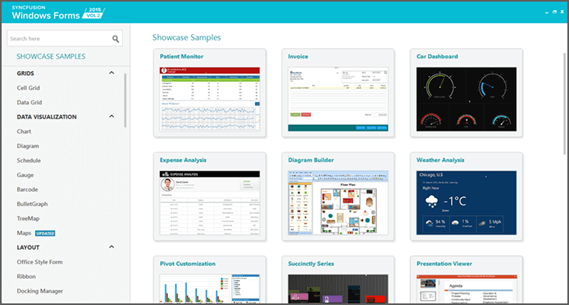 Open the Syncfusion Dashboard and select Windows Form. Click Run Local samples to open the Sample Browser for the Windows Forms. Depending upon the selection, Sample Browser is displayed and from that you can run the samples. Choose any TreeMenu item to browse the related samples. You can explore the samples, view codes, and run the samples from the Sample Browser. You can also open the Windows Forms samples from the installed location by selecting the Explore samples.